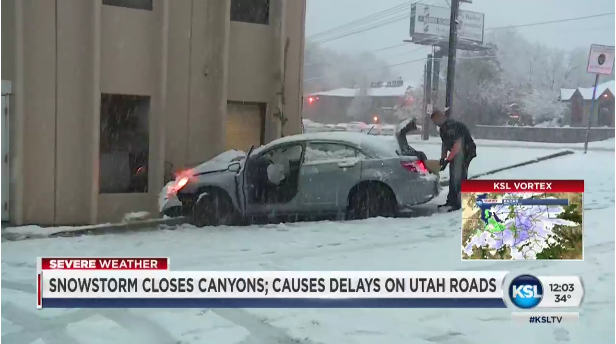 Three juveniles are in custody after a stolen vehicle crashed into the Unified Police Department precinct in Millcreek, UT Monday morning. Police followed the tracks the teens left in their wake and took all three into custody. The stolen vehicle reportedly belonged to an adult one of the teens was living with, according to KSL-TV. Police said the crash was caused by a combination of weather and not knowing how to drive.